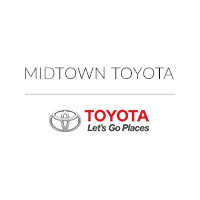 Customers flock to Midtown Toyota when they are ready to buy their next new car for three main reasons. First, they know we have a quality inventory of both new Toyota cars as well as a large pre-owned inventory. Second, we strive to offer the highest level of customer service to each new customer that walks into our Toyota dealership in Chicago, IL. Finally, they know we will take care of them not only when it comes to when they buy a new Toyota, but also for the life of their new vehicle. One way we take care of our customers is through our service and parts centers. There are many things you need to care for with your vehicle, and one of the most important parts is the tires. As the tread on your tires wears down, it can make driving that vehicle less safe because you are losing the traction, especially in hazardous weather conditions like rain and snow. The tread is worn down by driving, but the more carefully you drive, the slower the wear on your tires is. If your tires aren’t inflated to the proper pressure or aligned correctly, it will cause more rapid wear. Once your tires are worn down too much, you will need to replace them to keep your vehicle safe out on the road because your vehicle will take longer to stop and can skid more easily when the road is slick. The life of tires is usually about 50,000-60,000 miles, but it will depend on your driving and if you care for your tires. You should have your tires rotated every 5,000 to 8,000 miles to make sure the wear is even on the tires because you should be replacing all four tires at the same time, not just one at a time. You will know it is time to replace a tire by doing the simple penny test. You place a penny in the groove between your tire treads with Lincoln’s head down, and if you can see the top of his head, it is time to replace your tires. Our Midtown Toyota service department is happy to help you as you need tire service, so we invite you to head over to our dealership located at 2700 N Cicero to make sure your tires are in good condition. You can make a service appointment right here on our website or give us a call. Our team would be happy to serve you so you can rest assured that your vehicle is safe. Once you are ready to buy a new Toyota, we would be happy to help you out in that area as well.